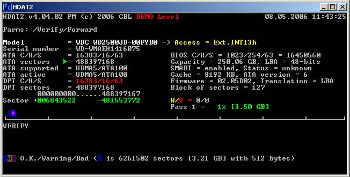 HDAT2 is program for test or diagnostics of ATA/ATAPI/SATA, SSD and SCSI/USB devices. It will not execute in a DOS session under Windows. You should make a DOS boot floppy disk or CD/DVD and boot your system for it and execute this program from that floppy disk or CD-ROM.